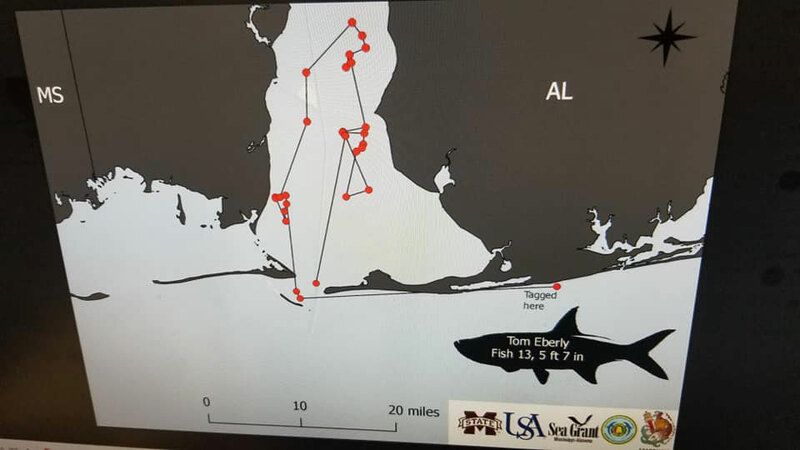 The big story of the rodeo is the eight tarpon traversing the waters now with satellite tags attached thanks to the teamwork of the DISL/University of South Alabama Fisheries Ecology Lab, the Mississippi State University Extension, and some of the area's best tarpon anglers. Crystal Hightower, the DISL/USA Fisheries Ecology Lab technician, said they've tried for several years to tag tarpon in the area and this has been the most successful attempt. During the last weekend in July, the team tagged two more tarpon bringing the total of tagged tarpon being tracked to ten. DISL's team also acoustically tagged 20 red drum and 15 speckled trout at the dock of the ADSFR. While the tarpon are tracked by satellites, the acoustic tags ping hydrophones placed throughout the Mobile area. These pings allow researchers to track the movements of the fish over a period of time. Tracking one of the satellite tagged tarpon. Hightower also said a couple of high dollar red snapper tags made it to the dock this ADSFR, resulting in a total of $500 in rewards for the return of the tags. One of those red snapper is no stranger to DISL researchers. "We caught him in March and tagged him, and recaptured him in May and tagged him with a high dollar red snapper tag. Then, he was brought in by one of the anglers at the rodeo," Hightower said. "Since we first tagged him, this particular red snapper had grown an inch and gained a pound." The high dollar red snapper tags were first deployed in 2016. 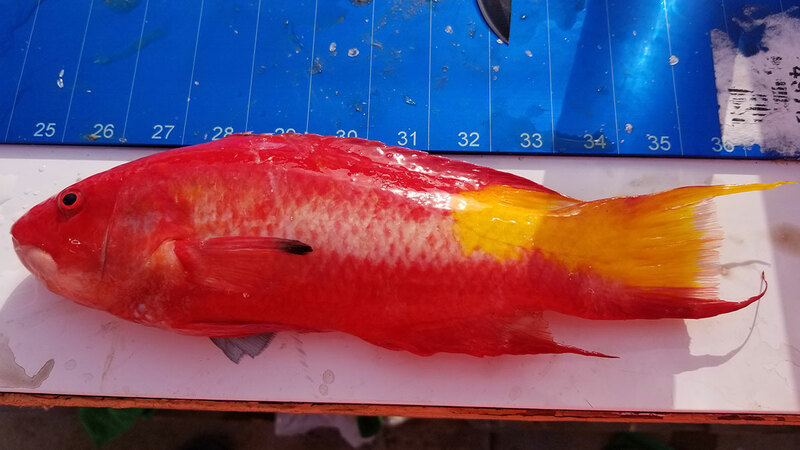 Three of the most unusual fish to arrive at the dock during the ADSFR were the spotfin hogfish, the dog snapper, and the tilefish.